This year Canada Day was bigger than ever before with Canada 150 Celebrations taking place across the country! Canada is celebrating its 150th birthday – the 150th anniversary of Confederation and the party is going to be amazing. 2017 marks the sesquicentennial anniversary of Canadian Confederation and the celebration has already begun with a geometrically inspired and multi-colored logo based on our iconic Maple Leaf. Celebrations will be highlighting Canada’s evolution from its Indigenous Roots to its contact with the French to the waves of immigration that’s made Canada the diverse and multicultural country that it is today. Canada has advanced technologically as much as it’s advanced culturally. From the beginnings of modern day radio by Reginald Fessenden to the thriving technology industry that’s developed today, there’s no denying that Canada is trending in the technology department. Not only is technology Canada’s fastest growing job sector, it also seems to be the only sector that’s recession resistant. Toronto is ranked in the top five cities with the highest IT job growth. Just outside of Toronto, Markham is home to no less than 400 Canadian head offices of technology companies. There certainly is quite a bit to boast about for the Canada 150 Celebration! As part of our Canada 150 Celebration we launched ThoughtMedia.ca to exclusively cater to Canadian businesses like yours. Canadians see the world just a little bit differently, and we are honoring that perspective with our Canadian division of Thought Media. As our gift to you, we’re offering a special Canada 150 Promotion! During the entire month of July, we offering 20% off a new web design for our Canadian customers. 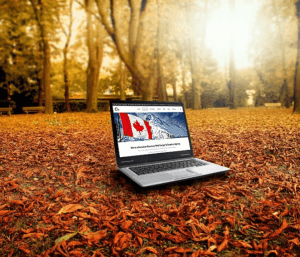 Also 50% off Canadian Web Hosting new sign-ups (not renewable) with coupon code “Canada150” at checkout! Our goal is to partner with Canadian businesses and help them grow through an innovative web site design that converts viewers into customers. Call 1 (800) 916 3864 or Get A Free Quote and to take advantage of our Canada 150 Promotion!